Final resting place of early French emigrants and their descendants. 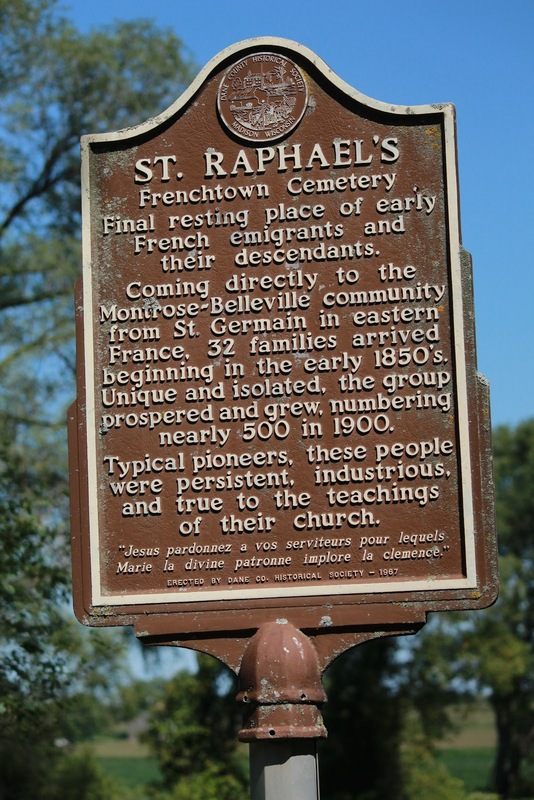 Coming directly to the Montrose-Belleville community from St. Germain in eastern France, 32 families arrived beginning in the early 1850's. Unique and isolated, the group prospered and grew, numbering nearly 500 in 1900. Typical pioneers, these people were persistent, industrious, and true to the teachings of their church. Marie la divine patronne implore la clemence." The marker is located at Frenchtown Cemetery on westbound Frenchtown Road, west of its intersection with Piller Road, Belleville, Wisconsin 53508. This marker is No. 9 in the Dane County Historical Society Markers Series. 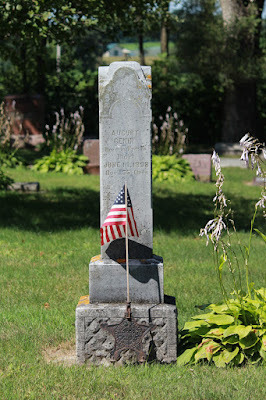 See also, A Brief History of the "Frenchtown" Cemetery, also at this location. The cross at the top of the hill. The marker is easy to locate and access.